The flight manifest for Prime Minister Justin Trudeau's Christmas vacation to the Caribbean, released to the Conservatives through an access to information request, was redacted to leave off the names of family members and a nanny who travelled on the government-owned Challenger jet. 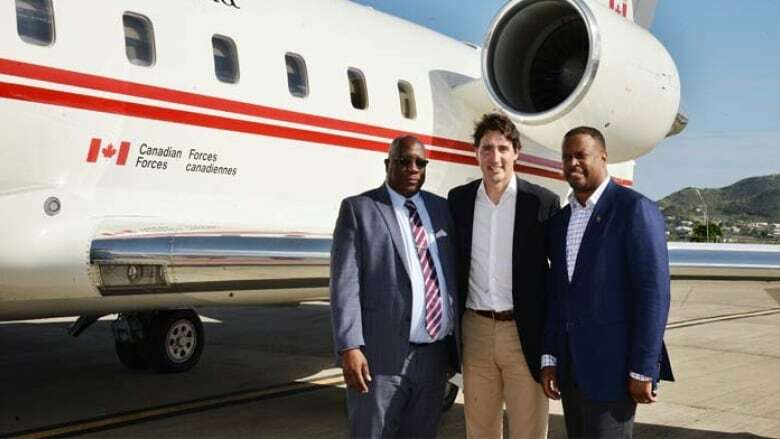 In January, the Prime Minister's Office refused to answer media questions about who flew with Trudeau to St. Kitts and Nevis, saying only that he enjoyed the holiday with family and with other friends who made their way to the tropical island independently. "As for the friends of the Trudeau family who were also present in Nevis, they did not travel on the Challenger but made their own way there," Andrée-Lyne Hallé, a spokeswoman for the PMO, said in an e-mail to CBC News at the time. She said she couldn't confirm more details when asked specifically for the names of passengers who travelled on board the jet. But documents obtained by the Conservatives and shared with CBC News show two versions of the manifest for the exact same flight. 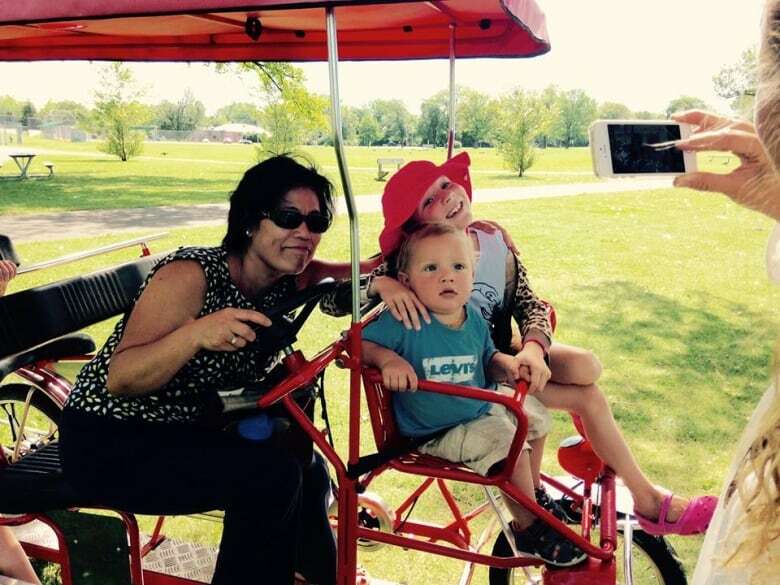 On a version released in March, there are five names listed — Prime Minister Justin Trudeau, his wife Sophie Grégoire Trudeau and their three children, Hadrien, Ella-Grace and Xavier. 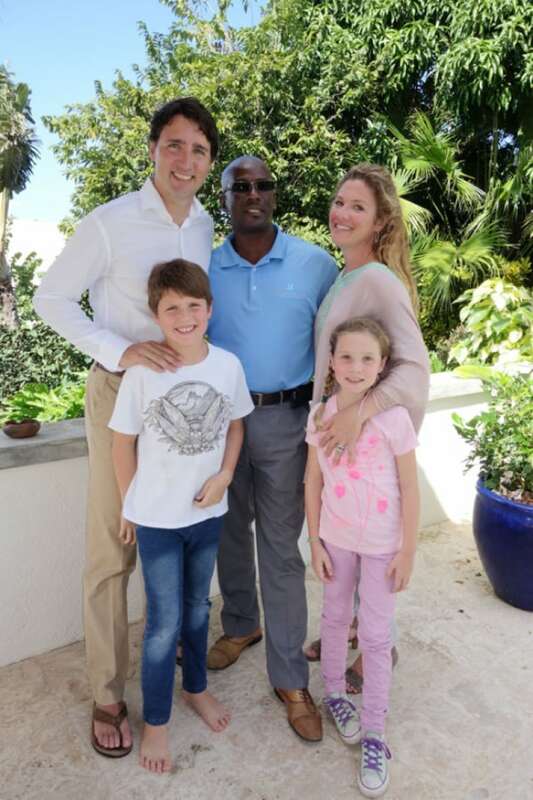 In June, another copy of the manifest was released to the Conservatives through an access to information (ATIP) request showing three additional names: Marian Pueyo, a nanny working for the Trudeau family, and Jean Grégoire and Estelle Blais, the prime minister's in-laws. The original manifest without the three additional names was released only weeks after it was reported that the Trudeaus had allocated part of their household budget to hire nannies to help care for their children, an expense that ignited a political firestorm. The Department of National Defence, which maintains mission reports for the Challenger, said Tuesday public servants made an "honest mistake" in initially removing the names of the prime minister's in-laws and the family's nanny and that the PMO didn't instruct them to conceal anything. "[The initial] Access to Information request for Challenger jet flight passenger manifests contained information that was redacted because it was interpreted as personal information," Daniel Le Bouthillier, the head of media relations for National Defence, said in a statement. "However, after the documents' release, a decision was made to clarify how Section 19.1 of the Act should be interpreted and applied to this type of request. Once the interpretation of the Act was clarified, a new, less-redacted version of the documents was proactively provided to the requestor." Calkins said the refusal of the Prime Minister's Office to initially answer media questions about who exactly travelled with Trudeau on the taxpayer-funded jet defies their pledge to be open and transparent with Canadians. There is no justifiable reason — neither privacy nor national security considerations — why the three names were left off the manifest, he said. "The whole theme for them is preach sunny ways and preach about openness and transparency and do the exact opposite," he said. The Alberta MP said few Canadians would quibble with Trudeau vacationing with his family, but deliberately withholding the names of travellers from the public is suspicious. "They're clearly trying to avoid the optics of the prime minister taking his family around the world on the taxpayer's dime." The PMO said it's not responsible for decisions made by National Defence's ATIP officers and what they choose to redact. "The error was in an ATIP and we don't control that," a spokesperson said in an e-mail. Canadian prime ministers are not permitted to fly on commercial flights for security reasons. The round-trip to the Caribbean destination cost taxpayers tens of thousands of dollars because the Challenger jet's rate is roughly $12,500 for an hour in the air. Under the government's travel policy, family members are expected to repay the equivalent of an economy class fare, a policy that was in place under the previous Conservative government as well. Trudeau did pay the economy fare for all of his family members — and the nanny, Pueyo — who travelled with him to St. Kitts, a PMO spokesperson told CBC News. The costs associated with staying at the pricey resort in the West Indies were also personally covered by the prime minister and are therefore private. The travel costs and salaries of a "residential staff member" — a caregiver — are eligible to be picked up by the government during the family's private travel, according to travel rules formalized by the Trudeau government in February. "If a residential staff member is asked by the prime minister to accompany his or her family on personal travel as part of their duties, the government of Canada will cover the travel-related costs, if requested," the rules say, according to documents obtained by CBC News. Former prime minister Stephen Harper also paid economy fare prices for personal travel with his family. One such trip to New York City over Labour Day weekend 2011 to see a Broadway show and take in a New York Yankees baseball game cost taxpayers at least $45,000 for use of the Challenger.